I'm going to be honest with you Fine Arts/Elective Technology Staff Development day always scares me. Maybe not scares but it does intimate me. First of all they are INSANELY talented! And my talents in areas of Fine Arts are greatly underdeveloped. It's intimating to plan training for a group of 6 people who all do different things. Our school has 1 PE teacher/coach, 1 choir director, 1 band director, 1 theatre teacher and 1 art teacher and I get to have them all together in 1 glorious day full of words, ideas and concepts that I don't understand. Our 5th and 6th graders are going to delve into spreadsheets and charts this year. First, they will log all their activities. Then they will enter their data into a spreadsheet and create a chart. Second, they will log their food intake, enter data and chart it. Finally, they will log both and make one chart to see if their activity out weighted their food intake. In the past, our art students have created digital portfolios in PowerPoint. This year, our art teacher decided to take it to the 'net. Students are creating Google Site portfolios during Tech Camp this year. Students in art will add their art work to their portfolio. Our art teacher spent the day creating a sample site to share with the students. Our theatre teacher wanted to use avatars in her class. She knew about Voki but I introduced her to Blabberize. I was going to show her xtranormal but we discovered they closed down July 31! She's going to use avatars after they learn about voice acting. Students will create a super hero costume and avatar. Then the avatars will speak to the class and the class will try to guess who created the super hero. Our choir director was a part of our 1 iPad classroom training so she spent the day working on her iPad. She shared an app with us called SoundyThingie. The music changes depending on where you 'draw' on the screen. I believe you can control pitch and resonance but those are things I know nothing about so don't catch me lying. 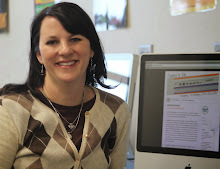 Our band director spent her day exploring a website she learned about at a music conference she attended this summer. 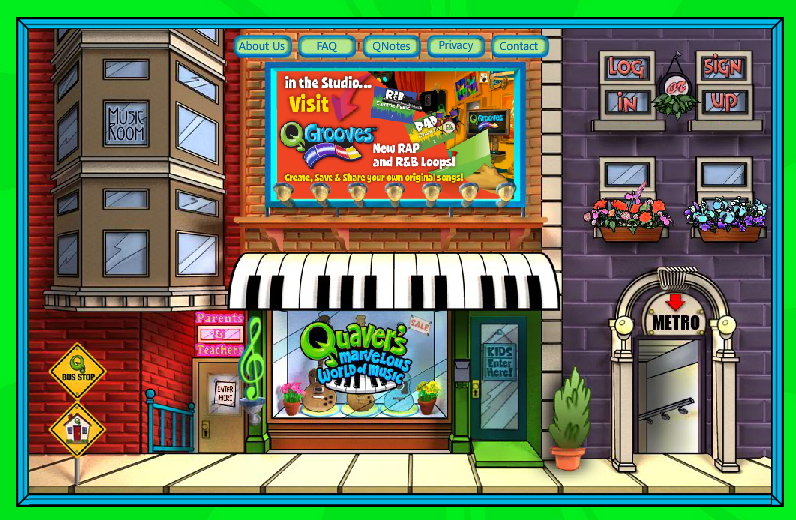 It's called Quaver's Marvelous World of Music It is awesome. Here's a screenshot! Look at those graphics! 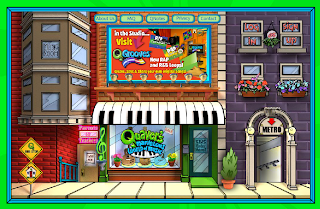 Students can create music in a variety of genres on the site. She described it as Bill Nye the Science Guy for music. They have a ton of videos on YouTube. Check this one out! What ideas do you have for incorporating technology into Fine Arts and Elective courses? I am a retired music teacher that used technology in my elective classes. First, GarageBand, iMovie, iPhoto are the most powerful apps a music teacher can have. Where do I start? I believe in transliteracy, where music and art are used to tell a story. Creating transliterate projects, not multi-media. If you want to contact me, I can certainly talk - skype or Google Hangout with your music, art, or pe department. They are my peeps and get them started!